Designed for day and multi-day trips, the Fjällräven Friluft 45 benefits from an arched back panel with an open mesh covering that holds the main compartment away from the user’s body to allow maximum airflow and reduce sweat. This makes the pack very comfortable in hot weather without reducing the stability of the load, although the whole back system is rather stiff so it’s not quite as comfy in this respect as more flexible back systems. The hipbelt is very wide, so it can support heavier loads, while large perforations in it and the shoulder straps add further airflow to the body contact areas. The main compartment has a single top opening with a good snow-lock extension and a fixed lid that covers the opening well. There is a huge pocket in the lid that’s ideal for maps or guidebooks, while a stretch front pocket is great for stowing waterproofs between showers. On the sides you get stretch wand pockets and compressions straps, so it’s easy to stash tent poles or trekking poles here. There’s a removable rain cover in the base and if this is ditched you save another 94g, should you think this sack too heavy at 1437g. There isn’t a lot to complain about here, but there are lighter rucksacks available that come in at a lower price. However, if you can tolerate that this is a great hillwalker’s pack. 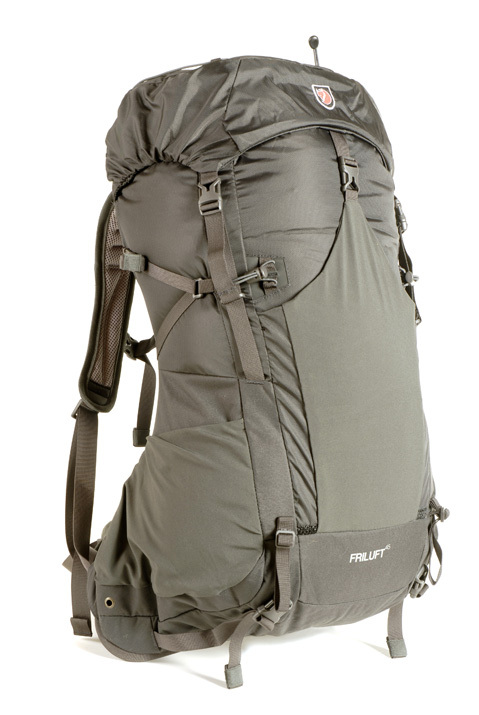 A great general hillwalking sack with good airflow, but others are lighter and some have back systems that flex more with the body or benefit from a lower price tag.